Stretch marks are a part of life—that I've accepted. And now that some brands have decided to stop Photoshopping them out of their ad campaigns and celebrities have shown them off on Instagram, we can all begin to accept their place on our bodies. It's not embarrassing to possess a feature you have no control over. We are humans, and our bodies do what they must to keep us living. To be clear, "a stretch mark is a tear in the collagen fabric of the dermis that occurs whenever the skin is stretched beyond its tensile limits," explains Scott Wells, MD, a New York–based plastic surgeon. "This is visible as a lighter-appearing linear wrinkling under the skin. This will happen in the abdominal region during pregnancy or in the hips and leg region with rapid weight gain—this can happen any time but is most common during adolescence due to the hormonal alteration in the skin to accommodate growth." I've grown used to my stretch marks, barely noticing them when I dress or undress, and the shame that came with them during my teenage years has generally subsided. I like my body, and I'm not worried about the stigma still attached to stretch marks. That being said, feeling compassion toward your body (all its curves and edges) and wanting to reduce the appearance of stretch marks don't have to be conflicting schools of thought. I can feel good about my body positivity and still try to treat my stretch marks if I so choose. Earlier this year, a Reddit user, nct1234, shared a before-and-after photo showing the difference pre– and post–stretch mark treatment. She treated just one leg to gauge efficacy—and the results were startling. I knew I had to try it, if not purely as research in unprecedented results. My stretch marks reside in the exact same place as hers, along the inside of my upper thighs. So what did she do? She derma-rolled the skin on her thighs using a one-and-a-half-millimeter roller and applied hyaluronic acid serum before she began. 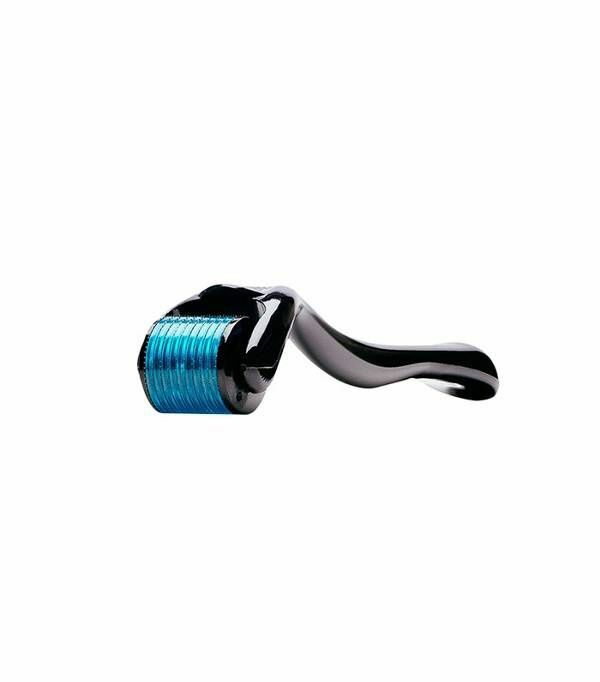 You probably already know about derma-rollers for your face (it helped our wellness editor get rid of her under-eye bags), but here's the gist: A derma-roller is a tool comprised of many tiny needles which, when rolled against your skin, create micro-injuries. This, in turn, sends collagen and elastin production into overdrive to compensate as it heals—leaving your skin tighter and plumper than it was beforehand. And don't worry—it doesn't hurt. But it does resurface the top layer of your skin by encouraging your body's natural healing process. My experiment is this: Use a derma-roller on my thighs (like I would my face) three times a week along with my favorite hyaluronic acid serum (SkinCeuticals Hydrating B5 Gel, $82) for two months. Then, record the results and try to prove, once and for all, if this phenomenon really works. As it stands now, there is plenty of anecdotal evidence that this practice leads to results. However, research into its benefits as an effective long-term strategy for beating stretch marks is fairly limited. Let's see if we can change that, shall we? This particular kit comes with heads for face, eye, and body (as well as prep pads, power cords, and instructions). For now, I'm focusing on the GloPro Body MicroTip attachment head. The product's description reads, "For use on uneven, crepey, saggy or dimply skin on the body including thighs, buttocks, abdomen, knees, and arms." The difference, though, with this micro-needling device is it also offers red LED light therapy and VibroTactile stimulation to enhance the tightening, stretch mark–healing benefits. Red light is most commonly used to promote circulation, so it's helpful for healing post-punctures. SkinCeuticals' Hydrating B5 Gel is the perfect texture—thin enough to remain lightweight and absorb quickly yet robust enough to keep things slippery and hydrated. Once applied, the formula restores and binds moisture to the skin. 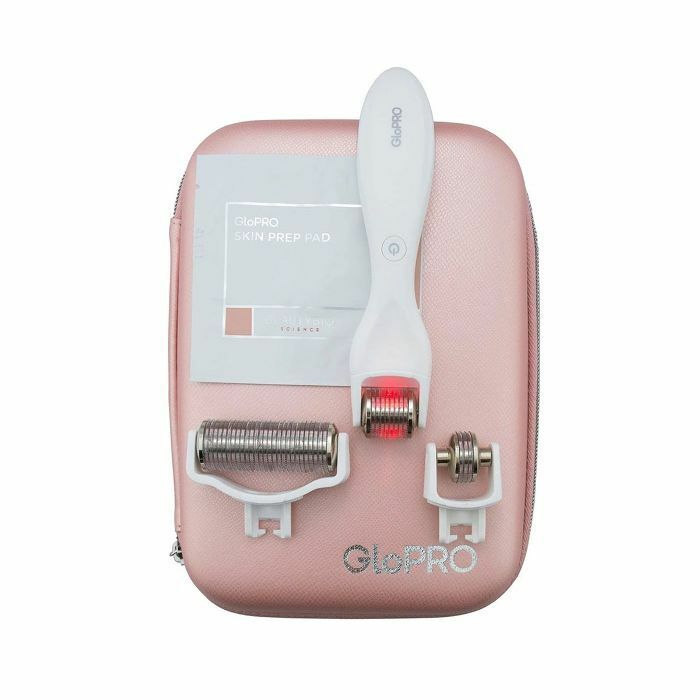 In a consumer study, participants used the GloPro three times per week and reported a 97% improvement in skin's firmness, 93% improvement in the evenness of their skin tone, and 100% felt it helped stimulate their skin's natural collagen after just 30 days. Now, I like those odds. That being said, since my stretch marks are from years ago, they're more stubborn than newly formed ones. "New stretch marks are usually red, while older ones are white," notes NYC cosmetic dermatologist Sejal Shah, MD, FAAD, founder of SmarterSkin Dermatology. "They can both be challenging to treat, but I find that newer ones are easier. While treatment options can be very effective in some, it may not be able to completely remove them regardless of whether they are old or new." I had to remember to keep my expectations in check. I began the first session after thoroughly cleansing my skin and applying one of the GlowPro prep pads. Then I applied hyaluronic acid for some extra cushion. 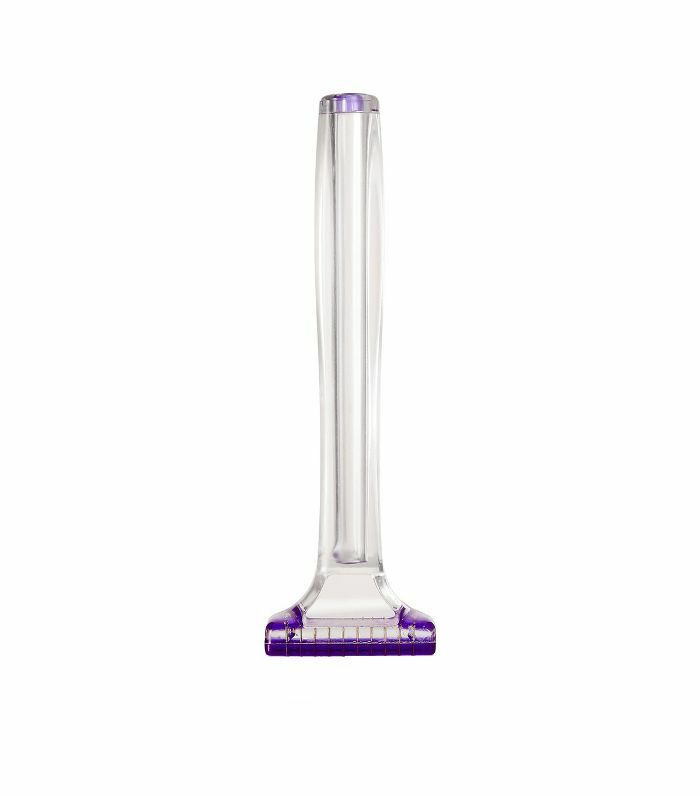 With gentle pressure (remember this shouldn't hurt), I rolled the derma-roller over my inner thighs about 10 times, changing direction with each pass. I continued for a minute and watched my inner thighs turn pink and flushed from the irritation. That's normal, though. Then, I applied more hyaluronic acid serum—it's recommended to make sure this happens within 60 seconds after use for maximum absorption—and a firming body lotion. I went to bed anxiously awaiting my results come morning. Once the sun rose, I hopped out of bed and inspected my stretch marks. I didn't see any reduction of texture or color, but I did notice the skin on my thighs seemed tighter and more toned. 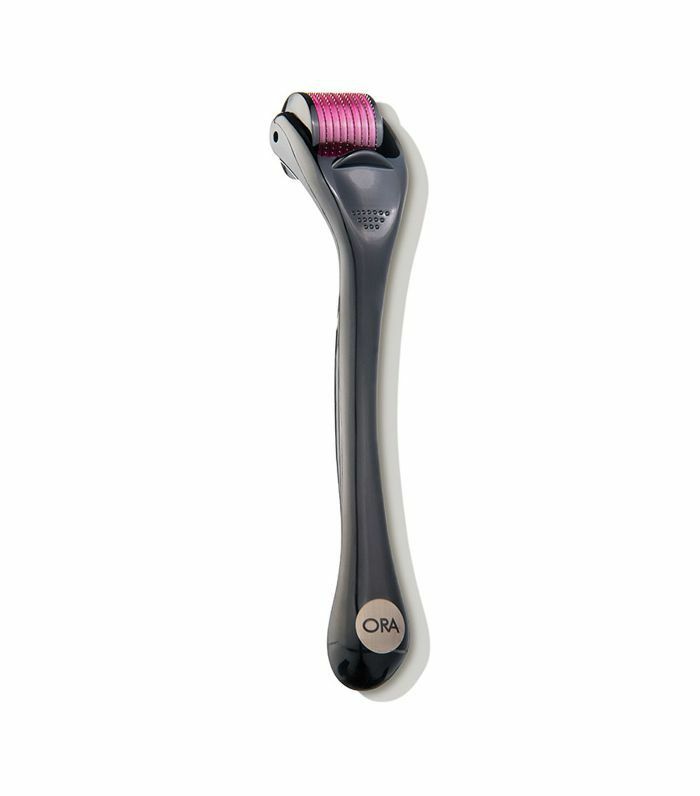 The results looked exactly like they do when I use a derma-roller on my face—visible but not life-changing. As the weeks went on, I diligently kept up this practice. I rolled three times a week for two months. After the first 30 days, I started to notice a difference. The silvery-white color of the stretch marks was still there, but they were no longer raised. My thighs looked far smoother than they had since puberty. I relished in the results and kept rolling away. If you're still a bit iffy on how to use one, here's everything you need to know.